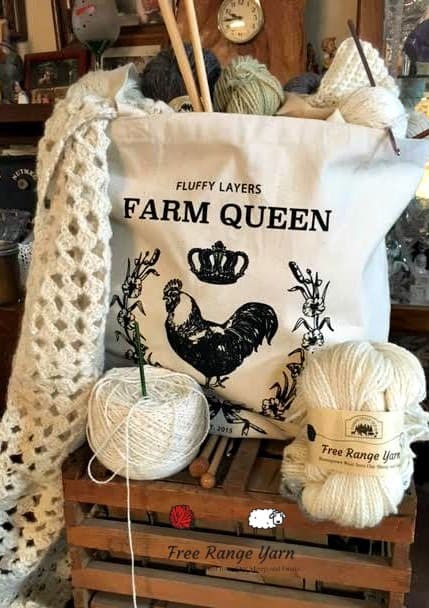 The perfect tote for all of your farm queen yarn projects. Extra large cotton canvas tote bag for carrying all of your yarn products. This bag is heavy duty and ready to store or tote around town. This bag will be great for taking your current projects to local coffee shop, yarn shop, the park, or wherever you like to knit and crochet in public! Designed by Fluffy Layer, makers of the egg collecting apron.